Country's largest automobiles marker, Tata Motors has launched the 2013 Tata Sumo Gold in Indian auto market at starting price of Rs 5.83 lakhs (ex-Showroom, Delhi). The next generation version of the entry level SUV has now been made premium through added more than 19 new features. The new Sumo Gold is now available with both BS-III and BS-IV complaint engines. 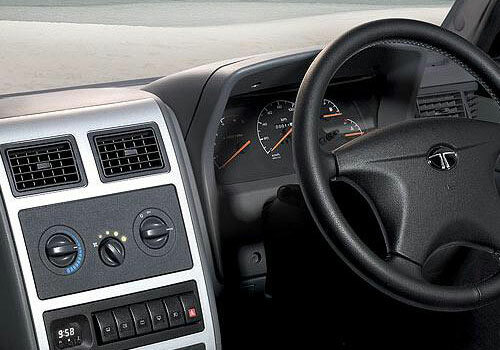 Along with features, fuel economy of the vehicle has also been enhanced by up to 4 per cent. The 2013 Sumo Gold has been offered in two new color options like Blazing Red and Twilight Gray. Apart from this, the beast gets a ‘new mascot for the tailgate’ which provides it impressive look. The company has offered it with a new chrome grill, new wheel covers, new body graphics at both sides, a dual AC, Bluetooth and USB capable with audio system, wood trim, mobile phone holder, new grab rail on both the passenger and rear doors. Along with cosmetic changes at exterior and interior, the new Sumo Gold gets a ‘high performance clutch’ which measures 260mm diameter and capable to provide 40 per cent better driving experience than old model. It has also been loaded with tubeless tires. The wheel alignment service interval has now been improved from 15,000km to 30,000km. Its fuel filter replacement will now come at 45,000km despite of 30,000km. 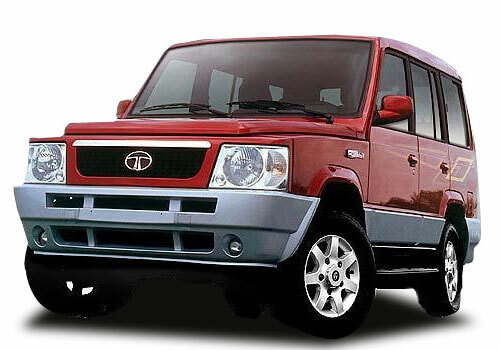 Including the new Sumo, Tata has unveiled the 8 new car models which will soon be offered. The company will also open new 150 dealerships across the country by this year.